Hi everybody!!!! it's me again, Gene Han. I assure you guys that i am fine and well. do not listen to the rumors that I chased down my assistant's mother and got a DUI on a suspended license. anyways, for the 2 people that actually read this thing, i am sorry for the lack of updates, but I have been really busy as of late. 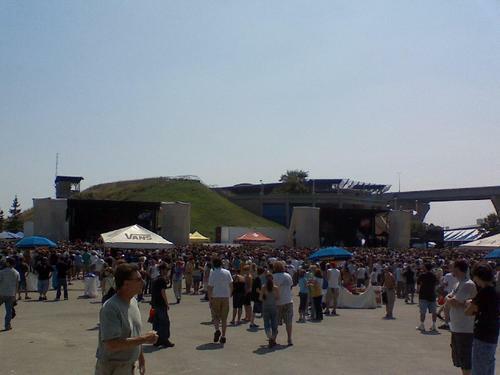 Now on with the show.....i am writing this entry about the warped tour i went to in Milwaukee. 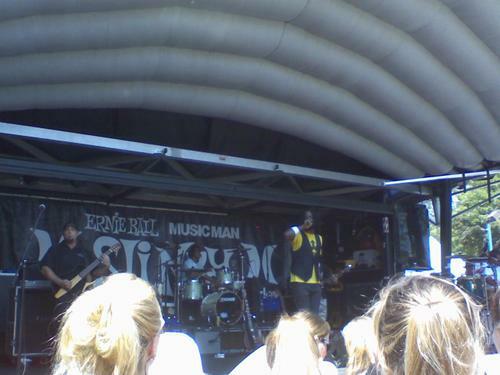 this, being my third year at warped, i should of felt a little more prepared for what was in store. 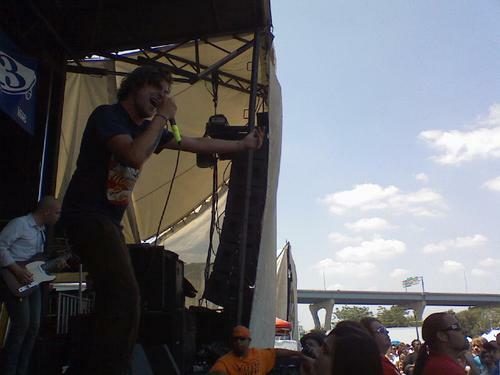 i knew that with warped it is usually hot, you are usually thirsty, and you are usually........., the first band of the day i saw was the starting line. they sounded just fine live, like they usually do. 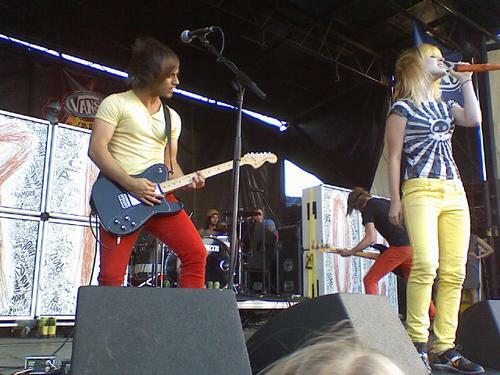 i enjoy their music, but i could of cared less whether they played that day or not. after the starting line, i had about an hour and half to kill before circa survive went on, so i went exploring around the booths. at this point it hits me that warped was starting to feel a little wierd for me. it feels a little wierd that as i am getting older and another year gets added to my life, i change, but warped seems to still remain the same, the same people touring, the same booths, the same antics, just to a younger crowd now. 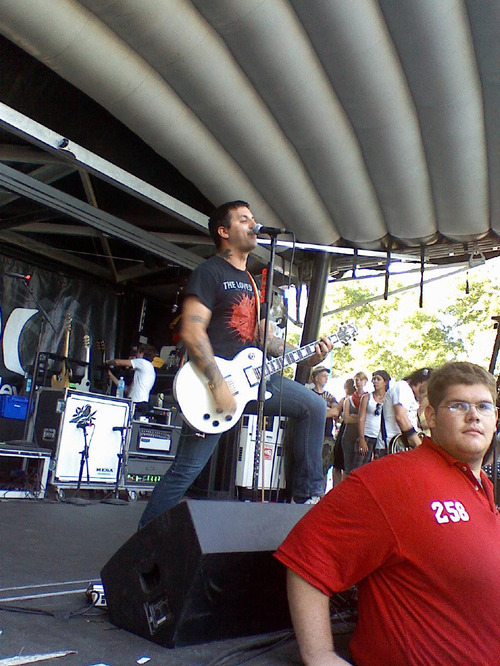 anyway, during the exploration i run across the fueled by ramen tent and i say hi to metal mike. this guy is in charge of running the fueled by ramen tent and he was the first person i met three years ago at my first warped tour. he helped me surivive my first experience and ever since then we've been talking on and off again. after talking for a little while, i went to go check out circa survive. 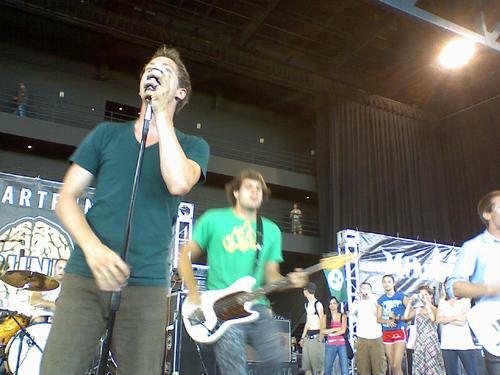 i was highly excited for this show, as this was my first REAL time seeing circa surive. i say this because i saw them last year when they went on their summer headlining tour, but i didn't know who they were nor did i like them, but they have grown on me in the last year. this performance was amazing. anthony green's performance was amazing, with spot on vocals and just amazing stage presence. 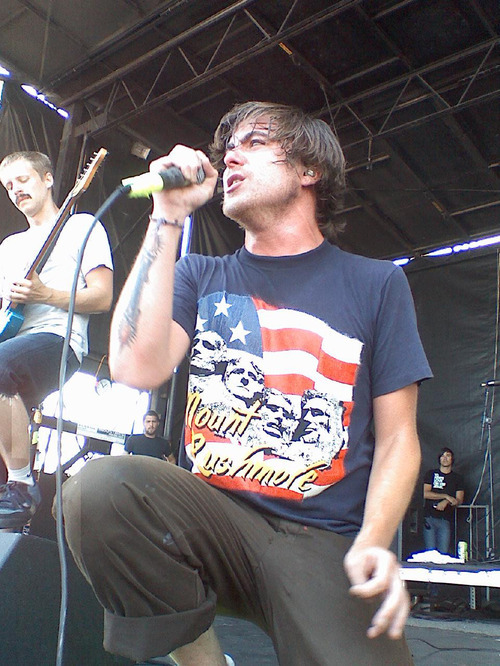 it is easy to see how they anthony green is considered one of the best front mans in this scene. half way through anthony green challanged the whole crowd into throwing stuff on stage, so throughout the rest of their set their was everything from shoes to condoms being thrown at them, with a couple of gatorade bottles hitting anthony green. after circa surivive, i went to go see one of the only hip-hop artists on the tour, k-os. now, i first started listening to k-os a couple months back and thought he was amazing. he reminded me of some of my favorite MCs and groups such as mos def, talib kweli, a tribe called quest, the roots, etc. so i get there 15 mins late because of the circa survive set and get right down to the music. he sounded amazing live, add libing some freestyles into his songs. 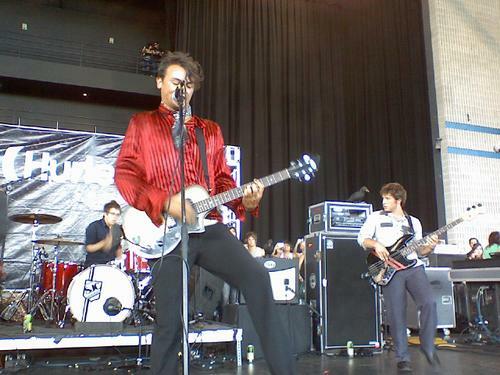 the best part about this band live was their guitarest. he was amazing live and broke out into a guitar solo. 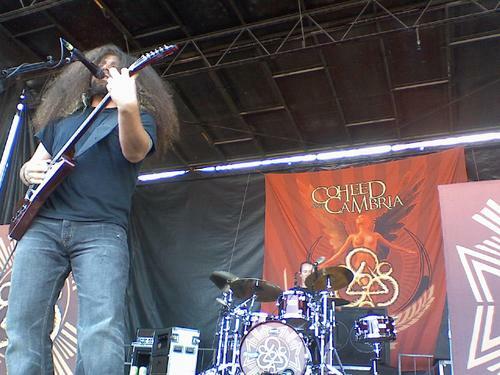 after a tight set from k-os, i started to walk my way over to the main stage again to see coheed and cambria. now this is a band that i never understood. not only did i not understand the concept of their concept albums, but i never understood how they were such a huge band. everyone seems to love them. after seeing their set, i understand why. their live show and presence was amazing. they sounded amazing on guitars and got the whole crowd chantting the end of "In Keeping Secrets of Silent Earth: 3". after watching this performance, they won over a new fan of their music. 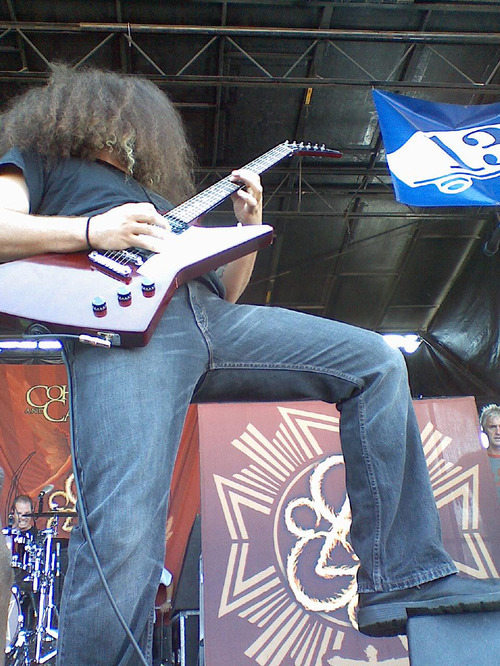 after coheed was done i headed on over to the ampitheater, where the hurley.com and smartpunk stage was at. at this stage i saw two great bands, the matches and the graduate. 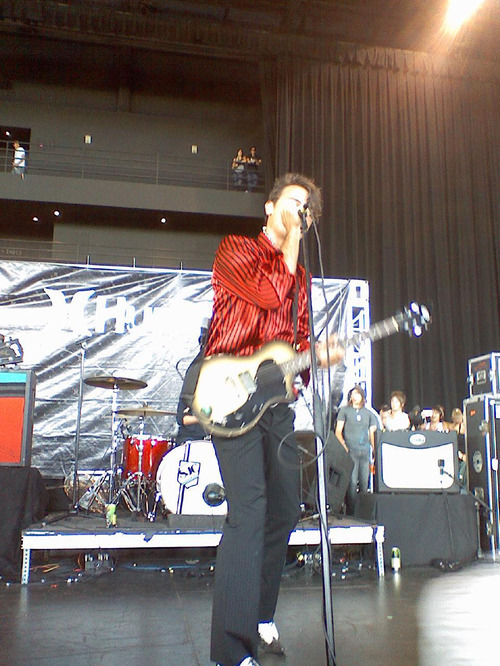 this was my first time seeing the matches and their show was pretty good. they were a highly energized band with a high energized crowd. i mean just on sidestage alone, they must of had a turn out of 100 people. the only downer during this set in my eye was i was expecting them to bring TVs to drop like they do in their music video, but whatever, they still had a solid set and a solid turnout. after the graduate i was walking out and i ran into a good friend of mine, jermey mcgrath aka man of milwaukee aka tour manager extrodinar. after i ran into him, i talked to him for a little and decided to meet up with him for bayside later. so after that, i walked around for a little again, taking in everything warped had to offer me. i made my way over to bayside at around 7:00ish. 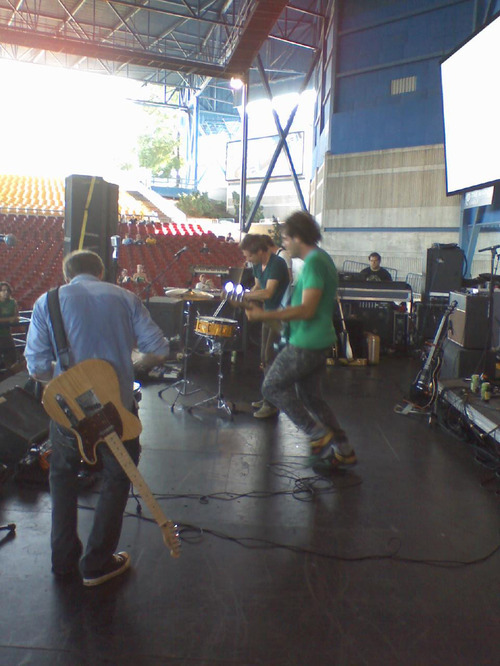 once they got on the stage, their set was none stop action packed. this being, again, my first REAL time seeing bayside, i was blown away by their set. they played all my favorites, minus blame it on bad luck. one thing that i was blown away by is jack performing live. he was shreading on his guitar just like he does on the cd. just listen to the song "the walking wounded" and you'll know what im talking about. im excited to see these guys again during the winter when they go out on the victory tour. after watching bayside i went and did the thing i was most excited for, eat. i had eaten all day so i was starving. now most of you guys know that warped tour does catering, and let me just say it is unbelievable. this is my third warped and every year the thing i look forward to the most, is the food. this year i bought a meal ticket and got bbq fish, bbq chicken, green beans, and vegetarian shepards pie. it was an unbelievable and a good way to wind down the day. 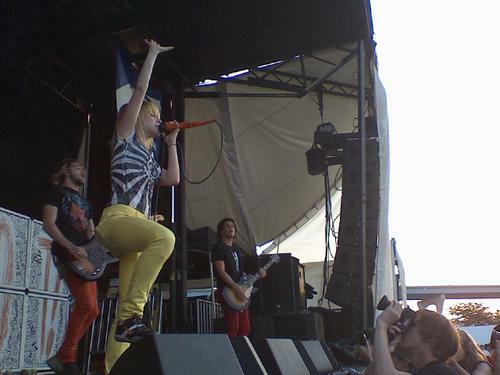 lastly, i saw paramore. this band has gotten huge in the past year or so, and i was excited to see how they have grown. the first time i ever heard or saw them was back two years ago when they performed on the shira girl stage, which consisted of a pink truck and its trailer. this year, they are playing the headlining stage, so that is a huge step up. now their set wasn't anything really that special. back when i saw them two years ago, they seemed to have something to prove to people and put their heart out on that stage. now that they seemed to have won the people over, they just don't have that edge like they used to. regardless they still put on a good show that i enjoyed watching and haley's stage presence was amazing as usual. 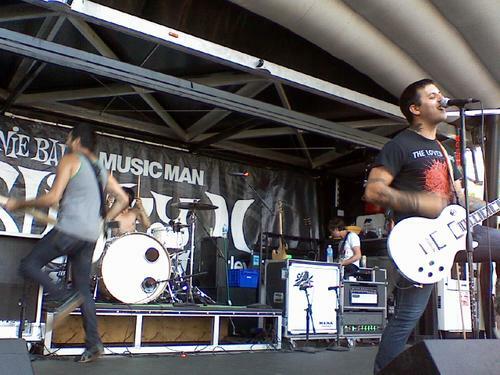 so there was my warped tour adventure. all in all this warped tour was the first warped tour where i watched more than two bands, so this was a little more interesting. i throughly enjoyed this experience and can't wait to see what next year has in store for me. Thanks for such a great post and the review, I am totally impressed! Keepd stuff like this coming. I don't work in a big agency, i am an independent, so I don't have any insight into how agencies bill, but I know how I do it, and there is no padding there, so for others to muddy that up is pretty irritating. Yeah, you blog structure is so simple, I like the style.